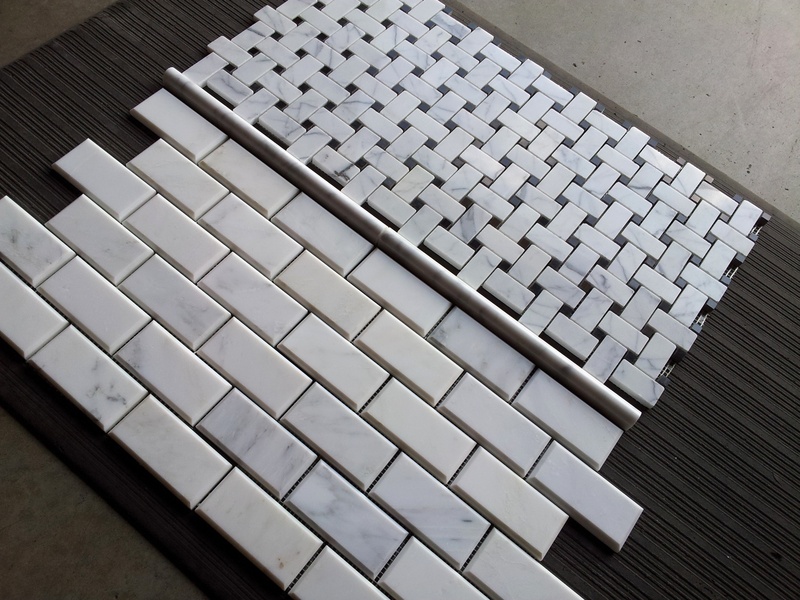 Customers are often looking for a whiter based marble for their bathroom renovation projects. 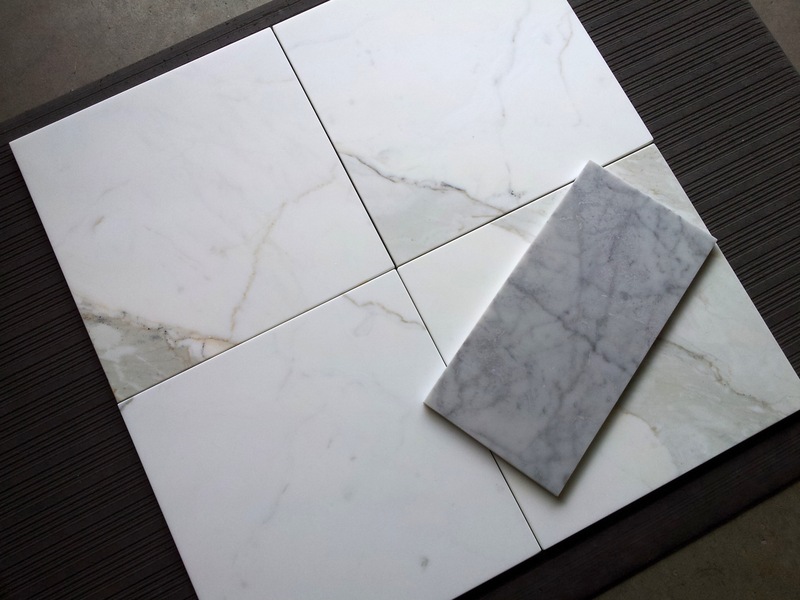 At The Builder Depot, white based marble is what we have focused on with the Carrara Venato collection. The picture above taken in our warehouse with a simple cell phone camera set on a black background shows how white the base of this spectacular marble actually is, quite incredible if we say ourselves. 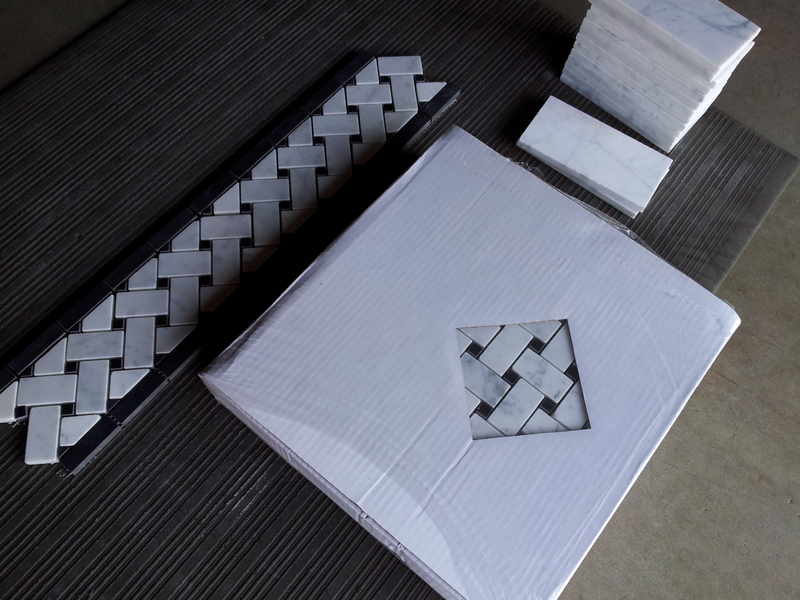 6×12″ has been one of the fastest growing tile product. In 2007 everyone wanted 3×6″ as it is the more classic subway tile (even though 3×8″ is the actual original NY subway tile size). 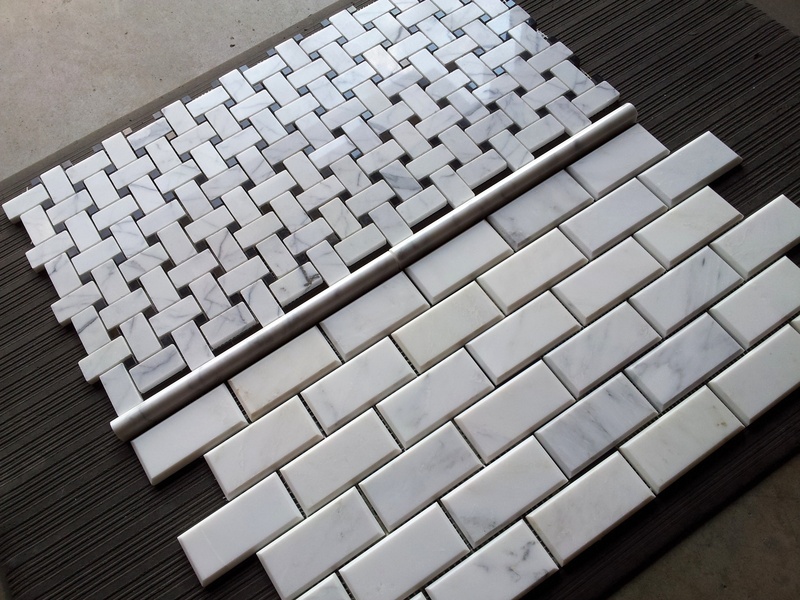 In 2010 6×12″ started to take off, consumers liked fewer grout lines and an overall cleaner appearance. 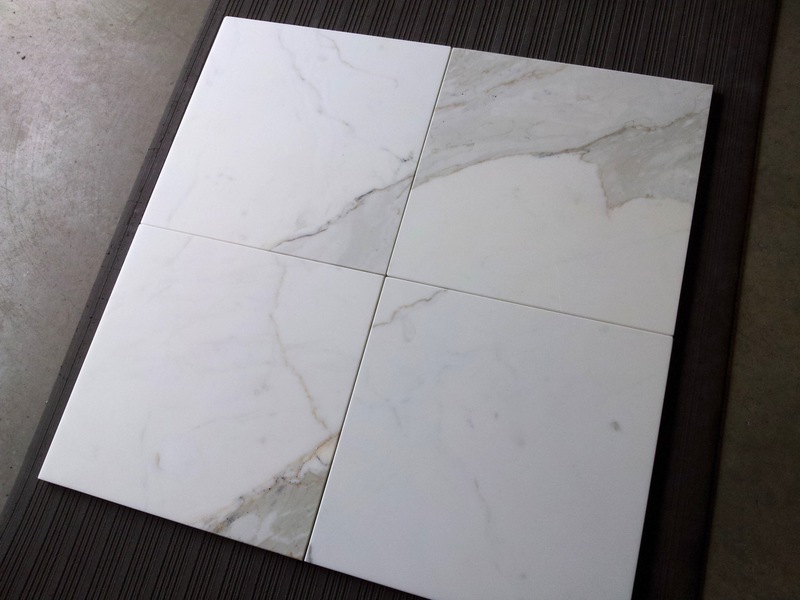 To see 6×12″ Carrara Venato installed in a bathroom click here. One of the most exciting new products for 2012. 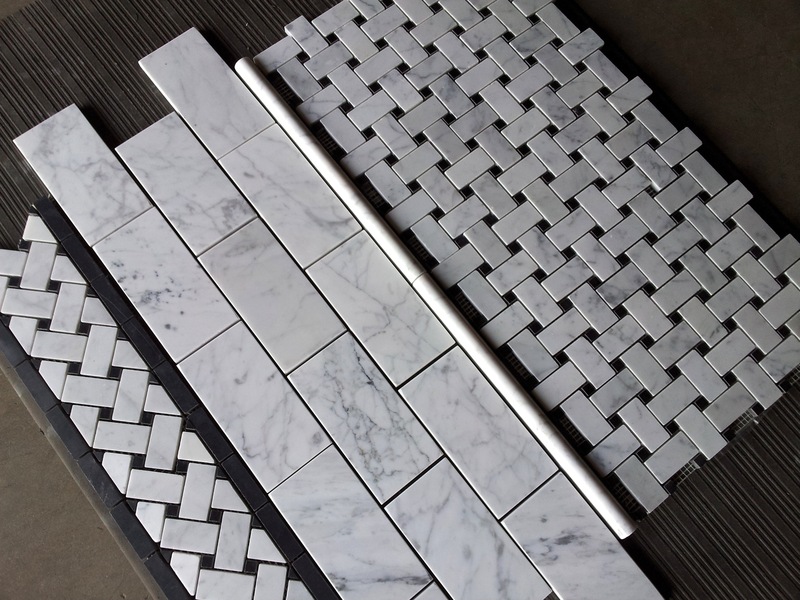 The increasing use of Italian marble for countertops has seen an increasing demand for matching mosaic backslashes. 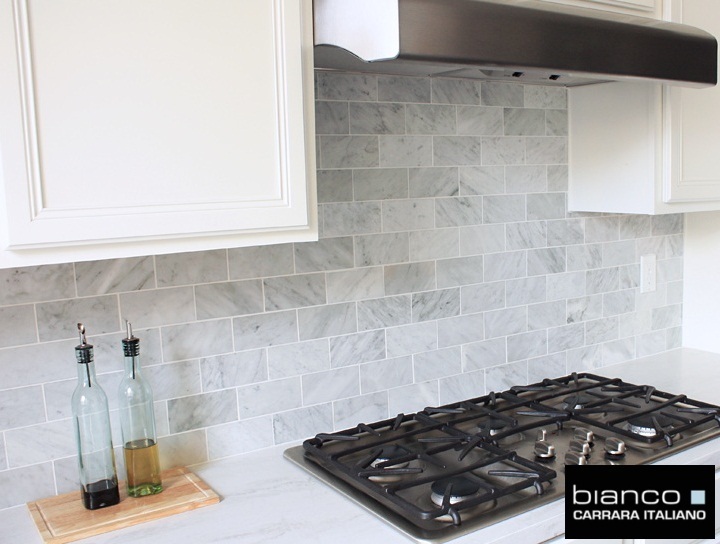 Carrara Venato 2×4″ Subway Tile beveled design is one of the best backsplash designs. The look adds a classic yet modern design that visitors to your kitchen cannot resist to touch. Just watch as everyone who comes into your kitchen will have to touch the smooth satin finish of honed marble. To show how white Calacatta Borghini is this is a piece of Carrara ‘CD’ from Italy. It really shows how perfectly white Calacatta Borghini actually is. 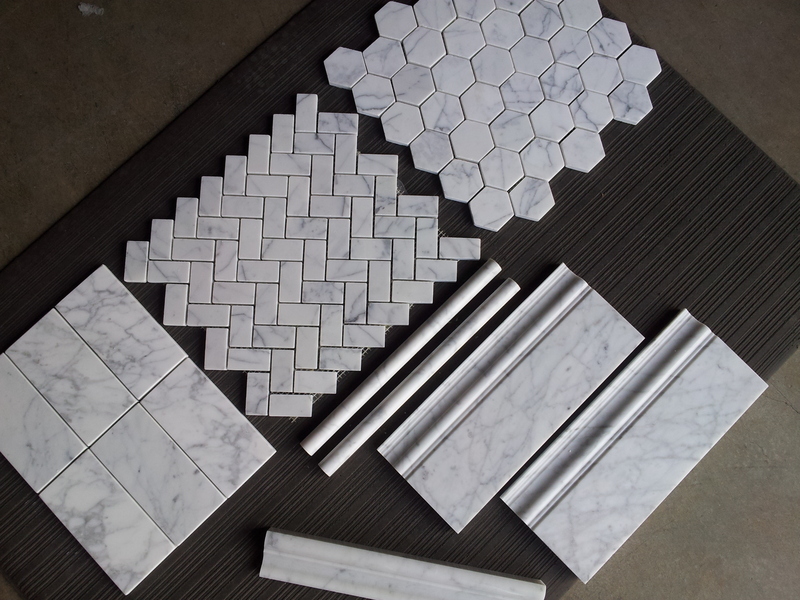 A few products from the Bianco Carrara Collection. Shown here is 3×6″ Carrara Subway Tile, 1×2″ Carrara Herringbone, 2″ Carrara Hexagon, 12″ Carrara Skirting Baseboard trim, 12″ Carrara Chair Rail trim and finally 12″ Carrara pencil trim. This is a perfectly matched collection of products. Carrara marble at its best with white base and perfect gray veining. 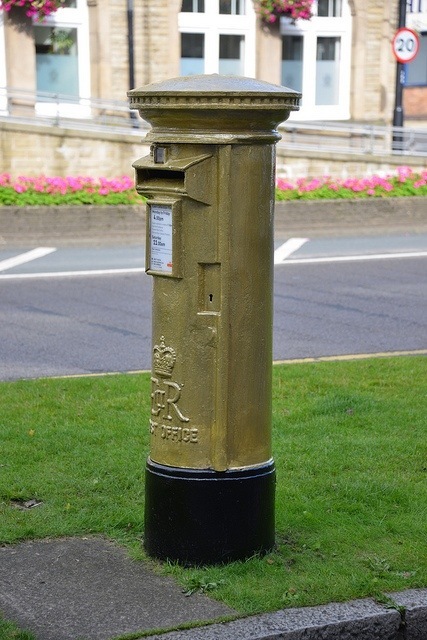 Royal Mail (British version of USPS) promised before the start of the Olympics that they would paint the postbox in any gold medal winners town gold for the duration of the games. Unlike the USA the Postman (affectionately called a Postie regardless of gender) does not pick up mail from individual post boxes with flags. They deliver mail through the door letterbox. But outgoing mail is taken to the Red postbox. Now in I believe Gold, in 16 towns. Very cool.